Further down the Grand Coulee, is the Dry Falls Dam, which uses the channel the Missoula Floods carved as its reservoir (Banks Lake). A bit below the dam are the Dry Falls themselves, pictured here. During the Missoula Floods, the Dry Falls would have been very wet, wih water pouring across the 6 mile width of the falls at very high velocities. You can see a few very distinct vegettation zones in this picture, delineated by how close the water table is to the surface. 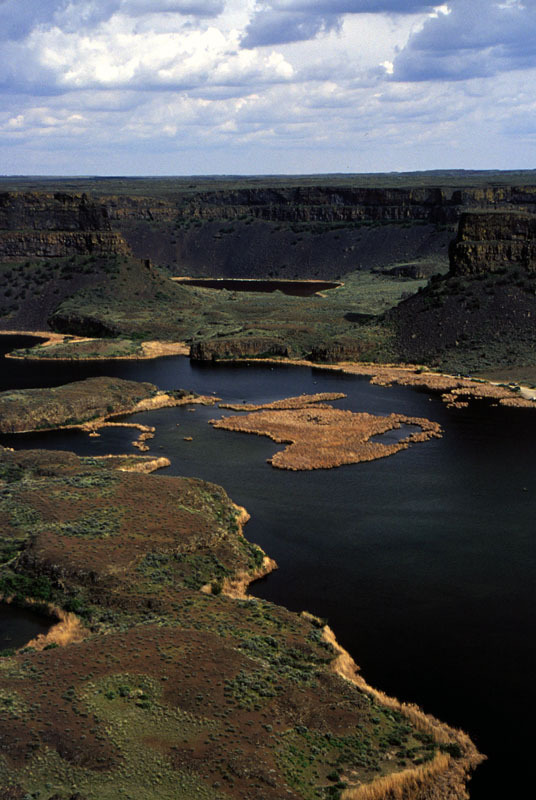 The Dry Falls are the boundary between the Upper Grand Coulee and the Lower Grand Coulee.